Compatible smart devices required for some commands. Subscriptions may be required. The calling feature allows outgoing calls to most phone numbers in the UK, but does not support calls to emergency numbers (including 999 and 112) or premium rate numbers. See your plan for the day and get things done hands-free. 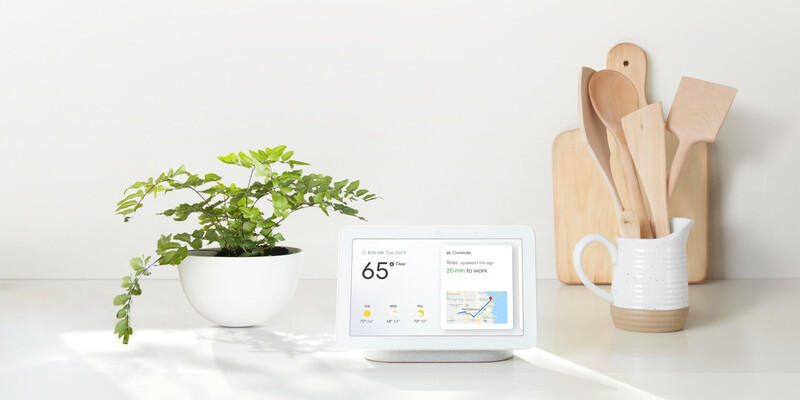 Google Home Hub helps you makes the most of your day. 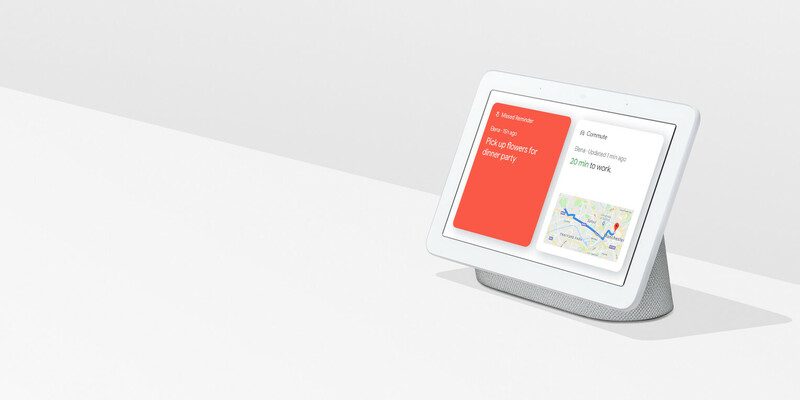 1 When using Voice Match keep in mind that a voice similar to yours, or a recording of your voice, could result in Google incorrectly recognising someone else as you. 2 The calling feature allows outgoing calls to most phone numbers in the UK, but does not support calls to emergency numbers (including 999 and 112) or premium rate numbers. 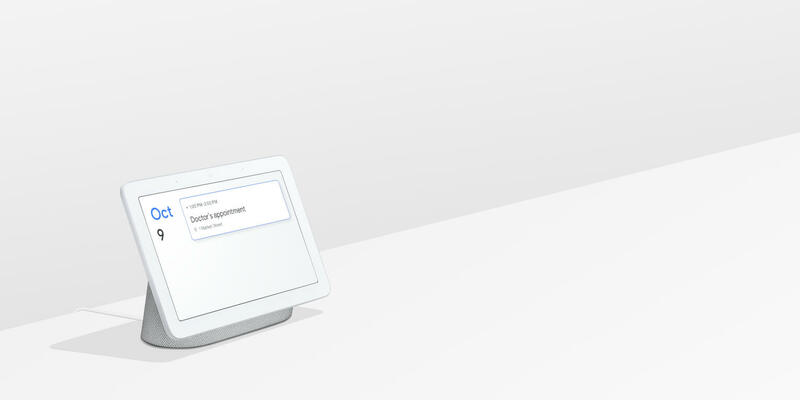 3 Google Account required for some features, for example Calendar commands. 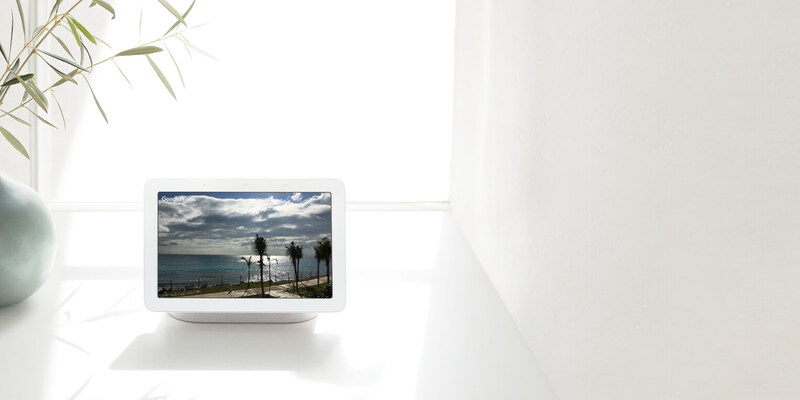 Control your lights, cameras, TVs, and other compatible smart devices from a single dashboard. It works with Nest and more than 200 smart devices from over 50 popular brands. 1 Controlling certain devices and features in your home requires a compatible smart device, such as compatible smart cameras or lights. Controlling your TV requires a compatible TV and a Chromecast. Simply ask to see your pictures in Google Photos. It’ll even display your favourite albums when not in use.